Looks great – all homey and 1950’s. They want him in a developmental classroom with other children with special needs rather than in a classroom with typical peers. Or, in a new school – that no one knows where it will be – for kindergarten and first grade with other children with special needs. Think the 1950’s. They don’t want him to go to the out-of-neighborhood school regardless of the super awesome sound system. State of the art high definition sound system that research indicates will help with hearing, distractibility, social development, language development and all around learning. This would help level the playing field for Thorin participating in a typical school setting. They support inclusive learning – meaning he would be in a classroom with typical peers. Why is it important to write about these things? It isn’t a given everyone is accepted as a full member of an in-coming kindergarten class. Diversity in education means students with special needs contribute to their schools. Children with special needs sometime have more than one need and those needs are suppose to be addressed in their IEP’s (Individual Education Plan). Trying to do right by your child means becoming a quasi-expert in many areas including the “sound field distribution” technology area. Some parents don’t know they have a choice in their kid’s education. Many advocacy sources suggest bringing cookies or cupcakes to meetings to set a tone of collaboration. I have two issues with this approach. One, what they really mean is mother’s should bring bake goods. Second, I don’t bake for my family why would I bake for someone else? Especially someone I wasn’t really keen on. I guess I have a third reason – WTF? As a woman, I should bring baked goods to a meeting with professionals to discuss my child’s education in 2012? Should I wear an apron, too? No amount of cookies is going to make anyone feel better after that. They refuse (In a nice way actually. They seem as tired of us as we are of them.) and they tell us to take our case to the district office. We send an email to the chief academic officer who we had sent our original out-of-neighborhood request to in April but this time we cite the literature on the multiple benefits of a dedicated sound field technology system, we attach the studies and a photo of Thorin. He responds that they don’t write school placement in IEP’s (Not true.) and we will have to wait until the end of summer for notification of an out-of-neighborhood request (Not necessarily true). We get an email back telling us Thorin will be placed in the out-of-neighborhood school for the 2012 – 2013 academic year! Ward and I can pat each other on the back for sure, but we could not have done this without the numerous professionals from various backgrounds we called and emailed with to get information that was invaluable to us succeeding. There are resources. They are for the most part free. Each person we contacted led us to another person. The pieces started to fall together. We developed a plan. It was not a seamless path. It was clunky. We questioned ourselves. We made errors. We corrected them. We succeeded this time. Schools have been at this game for years. As a parent the learning curve is high. It is daunting. It is an intellectual and an emotional journey. You believe everything rides on this one thing – whatever it is at the moment. *Always use the word “adequate” never use better or best. By law your kid doesn’t get better or best they get adequate or appropriate. ** This is a great strategy I got from a lady who works at the State with regard to due process. If someone tells you “We don’t do _____________.” Ask for the policy that states exactly that. It’s like when I tell Thorin the sign on the door at the super market says, “No screaming or shoe throwing allowed!” Once he learns to read I won’t be able to get away with that approach and once we start questioning the decision-makers they won’t be able to get away with it either. 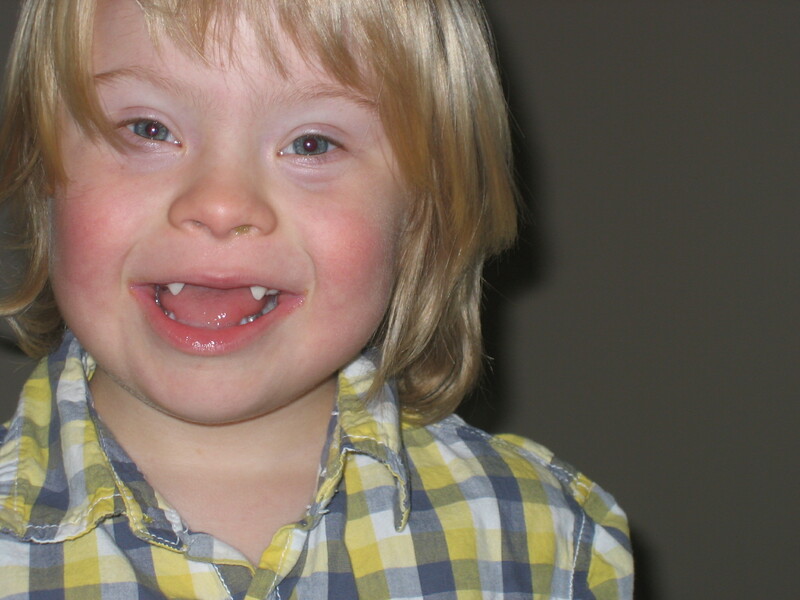 This entry was posted in Adopting, Advocacy, By Notatypicalmom, Down syndrome, education, Inclusion, Marriage, Parenting, Special Needs by Kari Wagner-Peck. Bookmark the permalink. I have never been a fan of the bake sale for the same reason. re: bake sale – if so coerced, leave pride at the door and bake the shittiest most tasteless cookies ever, you’ll never be asked to do that again! ;0 Congrats on the school battle!